In this topics page, Volcano's major events are listed in chronological order. VOLCANO participates in "Japan Pavilion" at the exhibition "Sea Asia 2019" from 9th to 11th April 2019 and " Japanese Shipbuilding & Ship Machinery Seminar " conducted by CAJS, JSMEA and Class NK in Singapore on 10th April 2019. VOLCANO will hold a presentation on " Not to discharge methane as GHG from LNG fueled vessel". "CAJS"="The Cooperative Association of Japan Shipbuilders"
"JSMEA"=" Japan Ship Machinery and Equipment Association". VOLCANO welcomes the respective visitors at this Seminar and at Japan pavilion in the exhibition. For more information, please see"Press Information" . *Photos; Boil Off Gas Combustion Unit MECS-GCU"
"Ishin" which is the first LNG Fueled tugboat in western Japan equipped with Volcano Gas Combustion Unit MECS-CCU was delivered. 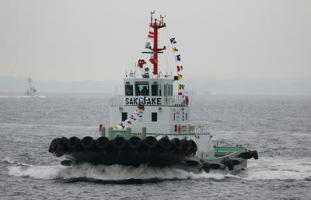 On February 27, the delivery ceremony for the first LNG Fueled tugboat in western Japan "Ishin", which Mitsui O.S.K. Lines, Ltd. ordered and Kanagawa Dockyard Co., Ltd. built, was held in Kobe port. 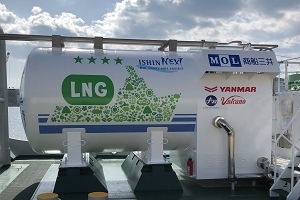 "Ishin" is the first LNG fueled vessel built to be compliant with IGF Code*1 in Japan. 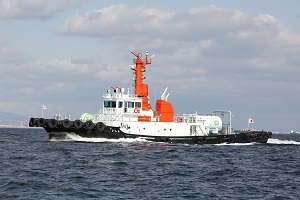 "Ishin" will be operated by Nihon Tug-Boat Co., Ltd. which is MOL group. 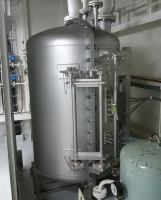 Volcano Gas Combustion Unit*2 "MECS-GCU" has been installed in "Ishin" in order to process Boil Off Gas which is generated in the fuel tank. The IGF Code stands for the International Code of Safety for Ships using Gases or other Low-flashpoint Fuels. It prescribes technological requirements for security of vessels using LNG or other Low-flash point fuels. This system safely incinerates the BOG and the Vaporized Gas when bunkering on LNG Fueled vessels. The exceeded BOG and the Vaporized Gas should be processed by incineration or reliquefaction for safety. Volcano products, Gas Combustion Unit and Gas/Oil Simultaneous DF burner, which safely and eco-friendly process BOG got good reputation from the customers. VOLCANO participates " MALAYSIA – JAPAN BUSINESS MATCHING FORUM 2019" conducted by JSMEA in Kuala Lumpur on 26th February. VOLCANO will hold a presentation on " LNG Fuel Utilization records for 37 years ". it is regarded as essential to reduce the load on Environment. VOLCANO proposes its "Environmental load reduction technology" in order to "Keep Sky Blue" and "Keep Sea Clean". the products for LNG fueled vessels and "Gas Combustion Unit　called "MECS-GCU" are already supplied by VOLCANO. VOLCANO welcomes the visitors at this forum. For reference, please see "Press Information" as same content as this article. VOLCANO participates "Japan Ship Machinery and Equipment Seminar" conducted by JSMEA in Taipei on 27th November. VOLCANO will hold a presentation on " Utilizing LNG s Fuel, by VOLCANO’s technology ". 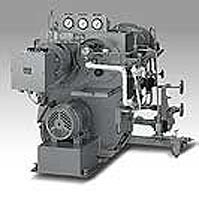 "JSMEA"="Japan Ship Machinery and Equipment Association". As fruits of VOLCANO's "Environmental load reduction technology", which is based on over 37 years’ experiences for marine use dual fuel(LNG/Oil) burners,the products for LNG fueled vessels and "Boil Off Gas Combustion Units　called "MECS-GCU" are already supplied by VOLCANO. VOLCANO welcomes the respective visitors at this forum. The task force called"VMGT"promoting gas fuel utilization has started activity. To respond expanding of gas fuel utilization for marine field, VOLCANO has established a task force which is composed by members from the related divisions, and has started activity. *Senior Manager / Research & Development Dept. For more information, please see "Press Information". Car Ferry "AZALEA" equipped with Volcano Waste Oil and Bilge Concentrator BILCON-X have been awarded "a prize for large passenger carrier" of "Ship of the year 2017"
We are pleased to be involved in the brilliant project of "AZALEA" and her sister "LAVENDAR". The Japan Society of Naval Architects and Ocean Engineers awards a prize to the most practical, artistic and highest social responsibility vessel built in Japan every single year. This is a system to concentrate waste oil contain water and oily bilge water efficiently by humidification and evaporation method. It significantly reduces a cost and workload to treat and unload waste oil and oily bilge water. In addition the humidification and evaporation method is completely closed-system and it does not discharge any processed waste oil and concentrated water to the ocean from a vessel. It helps a vessel to reduce an impact on the environment. VOLCANO participates the Exhibition, "Sea Japan 2018"
VOLCANO exhibits the products at "Sea Japan 2018" held at TOKYO BIG SIGHT, from 11th to 13th April 2018 and participates in "Short Presentation" conducted by JSMEA on 12th April 2018. VOLCANO will hold a presentation on "How to deal with BOG on LNG Fueled vessel". VOLCANO welcomes the respective visitors at JSMEA’s exhibition booth "JPN-185" in Japan Pavilion and this presentation. "JSMEA"="Japan Ship Machinery and Equipment Association"
VOLCANO has the experience at Gas/Oil combination combustion in Industrial equipment category. 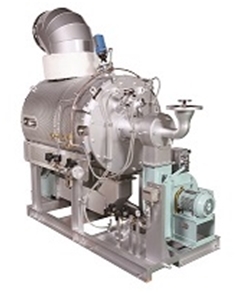 Based on the experience in Industrial equipment, VOLCANO has records in Shipboard equipment category as a supplier of "Gas/Oil Combination burner" for Main-boiler/Auxiliary-boiler for more than 36 years. 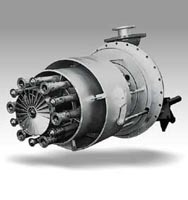 VOLCANO "SFFGII" is known as the Gas/Oil combination burner for Main-boiler of LNG Carriers. In 2016, VOLCANO launched two new products for LNG fueled vessel, "Boil Off Gas Combustion Unit　MECS-GCU" and "Gas/Oil combination burner Vignis-mini". These products are already installed in the LNG fueled vessel projects, such as the Japanese first LNG fueled vessel, the world’s first LNG fueled Pure Car Carriers, a LNG Bunkering Vessel and got good reputations from the customers. VOLCANO will play a role on enhancing the LNG fuel use technology. - Exhibition "Sea Japan 2018"
VOLCANO welcomes the respective visitors at Japan pavilion in the exhibition, the booth "JPN-185". *Photos; Boil Off Gas Combustion Unit MECS-GCU"and Oil/Gas Combination Burner"SFFGII"
VOLCANO participates "Japan Pavilion" at the exhibition "Asia Pacific Maritime 2018" on 14th to 16th MARCH 2018 and "Japan Ship Machinery & Equipment Seminar" conducted by JSMEA in Singapore on 14th MARCH 2018. - "JSMEA"="Japan Ship Machinery and Equipment Association". VOLCANO participates "PHILIPPINES-JAPAN BUSINESS MATCHING FORUM (Maritime Industry)" conducted by JSMEA and Class NK in Manila on 22nd FEBRUARY. "Class NK"= "Nippon Kaiji Kyokai", a ship classification society in Japan. "LAVENDER / AZALEA", equipped with Volcano Waste-oil/Bilge concentrator "BILCON-X" went into service. 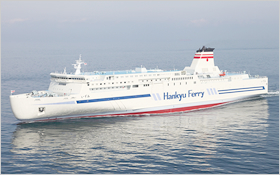 We congratulate Car Ferries "LAVENDER / AZALEA" of Shin Nihonkai Ferry Co., Ltd.(Osaka / Japan) went into service. "LAVENDER" went into service Mar. 2017, and "AZALEA" went into service Jun. 2017. They are cutting edge car ferries which operate between Niigata and Hokkaido (Otaru). "LAVENDER / AZALEA" are equipped with Volcano Waste Oil and Bilge Concentrator BILCON-X *1. This is a system to concentrate waste oil contain water and oily bilge water efficiently by humidification and evaporation method (low temperature humidification) that are generated at vessels. It significantly reduces a cost and workload to treat and unload waste oil and oily bilge water. In addition the humidification and evaporation method is completely closed-system and it does not discharge any processed waste oil and concentrated water to the ocean from a vessel. It helps a vessel to reduce an impact on the environment. Car Ferries "LAVENDER / AZALEA"
VOLCANO participates " BUSINESS MATCHING FORUM " conducted by JSMEA in Yangon. VOLCANO participates " MYANMAR-JAPAN BUSINESS MATCHING FORUM (Maritime Industry) " conducted by JSMEA in Yangon on 28th July. VOLCANO will hold a presentation on " Preparation for New Fuel and Waste-Oil/Bilge treatment for keeping Blue Sea ". VOLCANO welcomes the respective visitors especially around Southeast Asia including Myanmar at this seminar. VOLCANO participates " BUSINESS MATCHING FORUM " conducted by JSMEA in Bangkok. VOLCANO participates " THAILAND-JAPAN BUSINESS MATCHING FORUM (Maritime Industry) " conducted by JSMEA in Bangkok on 26th July. VOLCANO welcomes the respective visitors especially around Southeast Asia including Thailand at this seminar. September 2016 The World's first LNG Fueled PCTC(Pure Car and Truck Carrier) equipped with Volcano Oil/Gas Combination Burner Vignis-mini was delivered. The World's first LNG Fueled PCTC(Pure Car and Truck Carrier) , which was built by Kawasaki Heavy Industries, Ltd. at the Nantong COSCO KHI Ship Engineering Co., Ltd. (NACKS) shipyard in Nantong, China, was delivered. Volcano Oil/Gas Combination Burner*1 "Vignis-mini" is installed in this LNG Fueled vessel. Volcano "Vignis-mini" is also installed in her sister vessel which was delivered on November 2016. LNG Fueled vessels are expected to increase as one of solutions for more strict Environmental regulations. 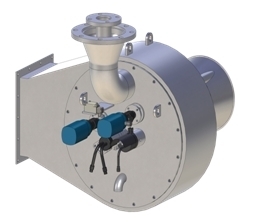 *1: Oil/Gas Combination Burner: This Burner's Dual-combustion-mode combusts the combustible BOG and vaporized gas when bunkering and docking on LNG fueled vessels. In this operation, those gas can be efficiently used as the fuel for a boiler. On LNG Fueled vessels, redundant BOG and vaporized gas should be processed by incineration or reliquefaction safely. VOLCANO participates in the Exhibition, "NOR SHIPPING 2017"
VOLCANO participates in the exhibition "NOR SHIPPING 2017" held at Norway trade fairs, from 30th May to 2nd June 2017. VOLCANO welcomes all the respective visitors in Japan booth. Boil Off Gas Combustion Unit "MECS-GCU"
VOLCANO participates in "Japan Pavilion" at the Exhibition, "Sea Asia 2017". VOLCANO participates in "Japan Pavilion" in the exhibition "Sea Asia 2017" held at Marina Bay Sands, Singapore, from 25th to 27th April 2017. VOLCANO welcomes the respective visitors at "Japan Pavilion" "B2-S01 & B2-T01","Sea Asia 2017". VOLCANO participates "Japanese Shipbuilding & Ship Machinery Seminar in Sea Asia 2017" conducted by JSMEA in Singapore on 26th April. VOLCANO will hold a presentation on "Solution for Environment and Efficiency by utilizing VOLCANO products". Please resister from following URL. VOLCANO participates the Exhibition, "Gastech Japan 2017". VOLCANO participates the "JSMEA" booth in the exhibition "Gastech Japan 2017" held at Makuhari Messe,Japan, 4th to 7th April 2017. VOLCANO welcomes the respective visitors at "JSMEA" booth "5405" in "Hall 6","Gastech Japan 2017". VOLCANO participates "Japanese Ship Machinery & Equipment Seminar in Taiwan on 17th Novenbar" conducted by JSMEA in Taipei on 17th November. VOLCANO's presentation; Around 16:30 at Room "A"
VOLCANO participates the Exhibition, "SMM HANBURG 2016". VOLCANO exhibits the products at "SMM HANBURG 2016" held at Hamburg Exhibition Centre and Congress Centrum,　Germany, 6th to 9th September 2016. VOLCANO welcomes the respective visitors at our exhibition booth "619.16" in Japan Pavilion, Hall B7. 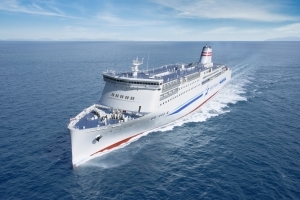 Car Ferries "IZUMI / HIBIKI" equipped with Volcano Waste Oil and Bilge Concentrator BILCON-X have been awarded the best prize of "Ship of the year 2015"
Car Ferries "IZUMI / HIBIKI"
LNG Fueled tugboat "Sakigake" equips Volcano Boil Off Gas (BOG) combustion unit MECS-GCU has been awarded a prize for advanced technology of "Ship of the year 2015"
We are pleased to be involved in the brilliant project of LNG Fueled tugboat "Sakigake"
*3: BOG combustion unit MECS-GCU: This system safely incinerates BOG and vaporized gas when bunkering on LNG Fueled vessels. Exceeded BOG and Vaporized Gas should be processed by incineration or reliquefaction for safety. Added new article in "Information about a product", titled as "New maintenance method in a stream of Slow-Steam"
VOLCANO announced new article in "Information about a product"
NEW ARTICLE titled as "New maintenance method in a stream of Slow-Steam" and "Recommended spare parts for Slow-steam, MJII burner, VJP burner and VJ burner"
VOLCANO participates "Indonesia-Japan Ship Machinery & Equipment Business Matching Forum" conducted by JSMEA in Jakarta on 27th July. VOLCANO launched Oil/Gas Combination Burner named "Vignis-mini". VOLCANO Co.,Ltd. developed an "Oil/Gas Combination burner for LNG Fueled vessel" and has launched "Vignis-mini" as new product. "Vignis-mini" for LNG Fueled vessels which are expected to increase can be installed in boilers. 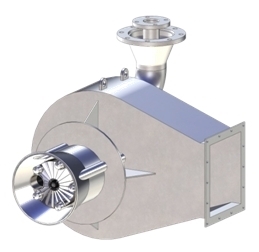 "Vignis-mini" has four types of burners as its product line-up. The types of Vignis-mini cover the range of "Boiler evaporation 1t/h to 3t/h". Vignis = "V" + "ignis"
"ignis" means flame in Latin. "Vignis series" has two products. One is "Vignis-mini" and another is "Vignis". "Vignis-mini" is for "Boiler-evaporation 1t/h to 3t/h" and "Vignis" is for "Boiler-evaporation 4t/h to 10t/h". For more information, please see "Press Information" and "Brochure". VOLCANO participates the Exhibition, "SEA JAPAN 2016". VOLCANO exhibits the products at "SEA JAPAN 2016" held at TOKYO BIG SIGHT, from April 13th to 15th. VOLCANO welcomes the respected visitors at the booth "JPN-24" in Japan Pavilion. For more information, please see "Press Information" and "Site of SEA JAPAN". 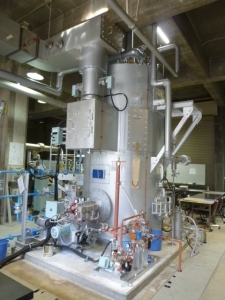 VOLCANO launched small-size Gas Combustion Unit named "MECS-GCU". VOLCANO Co.,Ltd. developed "Gas Combustion Unit for LNG Fueled vessel" and has launched "MECS-GCU" as new product. The name "MECS" means "Marine Evolutional Combustion System" . "GCU" means "Gas Combustion Unit". It decides to participate Japan Booth organized by JETRO of China International Industry Fair held in November, Shanghai. We expect the continued expansion of Chinese Environmental Market. Receiving many inquiry about the type-approval for incinerators, we explain as following. Incinerators which were manufactured before or in the year 2000 has no type-approval-certificate bacause at that time any type-apprvoval was unnecessary. Instead of type-approval certificate, "manufaturing certificate" can be issued by VOLCANO. Please use the form " http://www.volcano.co.jp/english/contact/index.php?m=1 " and fill the text "need the manufacture certificate" in the field of free text and fill correctly in the fields required in the inquiry form. VOLCANO products are appeared in JSMEA's web site "Japanese marine equipment supporting for OFFSHORE". VOLCANO products for Offshore are appeared in JSMEA's web site "Japanese marine equipment supporting for OFFSHORE". "Japanese marine equipment supporting for OFFSHORE" is also available in JSMEA's activities, such as JSMEA's booth in "Offshore Technology Conference". 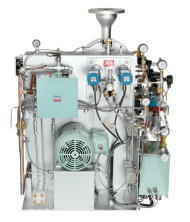 VOLCANO "MJII-90M" burner is adopted for the boiler for training at Marine Technical College. 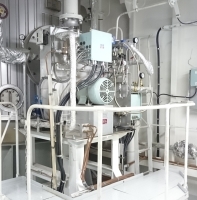 All automatic hydraulic burner with proportional control "MJII-90M" is adopted for the boiler for training at Marine Technical College,Independent Administrative Institution Under the Jurisdiction of Ministry of Land, Infrastructure, Transport and Tourism, JAPAN. We, VOLCANO respects the various education and trainig provided by Marine Technical College and hope that our product can contribute toward the human-resources-development. 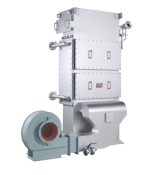 VOLCANO will release a new auxiliary boiler burner called "Vignis", the SFUGX series, for LNG fuel vessels. VOLCANO will add an oil/gas combination burner for LNG fuel vessels, which are expected to increase, to our product line. The brand-new burner called "Vignis" will be released in April. Equipped with the oil/gas dual combustion mode as well as the oil, gas mono-fuel combustion modes, "Vignis" will allow for energy-saving operation. "Vignis" will be on display at SEA JAPAN 2014, held at TOKYO BIG SIGHT, from April 9th to 11th. Please come and see it for yourself. Click here for more information on "Vignis". Volcano developed hydrogen fuel burner and delivered it in 2013 !! Volcano delivered the burner for which hydrogen generated in the customer's factory was consumed as fuel of boiler in September of 2013 and completed trial test successfully. The fuel of this burner is 100% low pressure hydrogen, which was converted from oil burner originally equipped with the existing industrial water pipe type boiler. We would like to extend our deepest sympathies to those who lost their lives in the 2011 off the Pacific Coast of Tohoku Earthquake and Tsunami as well as those suffering from the disaster. In order to help the victims to recover from such a national disaster and with the reconstruction work in the afflicted areas, we decided to make donations as follows. In addition to the above, our employees are making voluntarily donations. Volcano’s gas/oil combination burner type "SFFGII" has been installed on the vessel named as the ship of the year for 2008. This vessel has the biggest membrane tank system (154,900m3) built in Japan and is the first LNG carrier by Imabari Shipbuilding. This vessel is powered by steam-turnbine boiler plant (Kawasaki-made) on which Volcano’s gas/oil combination burner type SFFGII-405 is installed and contribute to her safe sailing. We have published an ariticle titled as "Warning for using an immitation of parts for Volcano’s burner in Volcano’s Service News"
ON SEPTEMBER 3rd, 2008, VOLCANO CO., LTD CELEBRATED THE 80TH ANNIVERSARY OF ITS FOUNDATION. We wish to thank you all for the last 80 years, and look forward to your continued support. It was in September 1928 that the founder of our company Mr. Benji Okihara developed the first Japanese-made low pressure air jet oil burners and established "the Osaka Heavy Oil Furnace Company." In 1943, the company was reorganized to a joint stock company "Osaka Heavy Oil Furnace Manufacturing Co."
In 1963, the company's name was changed to the present name of "Volcano Co., Ltd."
We have the pleasure to announce that on September 3rd, 2008 the company celebrated the 80th anniversary of its foundation. I would like to take this opportunity to express our sincerest gratitude to everyone and especially to our clients for their continued warm support of our achievements. At the same time, I pay my respects and thanks to each member of staff in this long history of the company for their courageous and wise actions as well as the efforts rendered. Through the 80 years of devotion to the combustion/heat decomposition technology, in amazingly evolved industries in Japan, Volcano has been playing an important role in the modernization of Japanese industries and in the growth of the shipping and shipbuilding industries with the expansion of the worldwide logistics operations, and also in promotion of a comfortable and prosperous recycling-based society where importance is placed on the environment and energy conservation. Especially from the beginning of 21st century, much attention has been given to the issue of a food shortage owing to a population increase, tightness of energy resources and global environmental conservation. With this background, it is expected in the industries that the combustion related field will develop such sophisticated products that the four parameters of high efficiency, energy saving, low environmental load, and recycling are well balanced and closely integrated with a high quality service that is capable of backing them up. Towards the 100th anniversary of the company’s foundation, to meet their expectation, Volcano is determined to strive for the development of new combustion technology as "Clean-Tech"
Engraving on our mind as the combustion engineering company that this very memorable the 80th anniversary is an important entrance to a challenging new era, we are desirous of further success by responding to the needs of the new era. I would be most grateful to you all for your cooperation and warm encouragement to continue over the coming years. Volcano’s Burner Model MJ22-180 has been installed on "Brasil Maru" ( World’s Largest iron ore Carrier) named "Ship of the Year" for 2007. 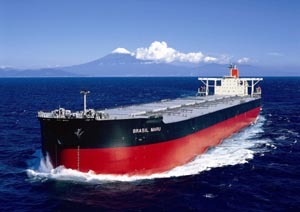 "Brasil Maru" (the world’s larget iron ore carrier) linking between Japan and Brasil built by Mitsui Engineering & Shipbuilding Co., Ltd., has been selected as the Ship of the Year for 2007. The vessel with the deadweight tonnage of 320,000 tons is the largest iron ore carrier and has never been constructed in Japan. By doing the shuttle service between Brasil and Japan, the annual transport capacity is expected to increase and meet the uprising demand of the iron ore in Japan. On this vessel, Volcano’s fully automatic oil bunrer type "MJ22-180" is installed and contribute to generation of heat energy and safe operation. "Technical Information" is added in our WEB site. Please utilize this part for safety operation and keeping good performance. Volcano’s burner type, "SFFGTR" gas/oil cpmbination burner, has been installed on the biggest LNG carrier "Trinity Arrow" with membrane tank system (154,900m3) built in Japan. 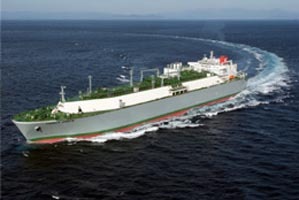 As LNG carrier with membrane tank system built in Japan, the biggest one with capacity 154,900m3 has been built by Imabari shipbuilding/koyo dockyard and will be delivered early 2008. This vessel is powered by steam-turbine boiler plant (Kawasaki- made) on which Volcano’s "SFFGTR" oil/gas combination burner is installed and will contribute to her safe sailing. "LNG DREAM", installing Volcano’s oil/gas combination burner, has gained special prize by "Ship of the Year 2006." 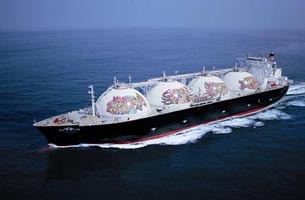 This LNG vessel named as "LNG DREAM" (145,000m3) has been built up by Kawasaki Shipbuilding Corporation and delivered to Osaka Gas Co.,Ltd September 2006. This vessel is currently transporting LNG between Japan and West Australia. Volcano’s oil/gas combination burners are installed on the main boilers of the steam turbine propulsion plant of this "LNG DREAM"
Got twenty one (21) units of the low NOx gas & oil burners order for Saudi SABIC (150T/Hx2, 200T/Hx5) from Seen Tec, South Korea. The new combustion test facilities having the maximum burning capacity of 2,050 m3/h for 13A town gas or 2,000 kg/h for oil with the most modern measuring instrumentation were built in Sanda Plant. It was in September 1928 that the founder of our company Mr. Benji Okihara developed the first Japanese-made low pressure air jet oil burners and established Osaka Heavy Oil Furnace Company, the predecessor of the present Volcano Co., Ltd. Through these installations, Volcano has been playing an important role in the modernization of Japanese industries and in the growth of the shipping and shipbuilding industries with the expansion of the worldwide logistics operations, and also in promotion of a comfortable and prosperous recycling-based society where environment and energy conservation are demanded to be pursued. In the combustion related field in the 21st century, the industries expect to have such sophisticated products that the three parameters of efficiency, energy saving and low environmental load are closely integrated, with a high quality service capabilitybacking them up. Toward the 80th and further toward the 100th anniversary of the company’s foundation, to meet the expectation of the industries, Volcano is determined to strive for the development of new combustion technology to further contribute to the future recycling?based society demanding economically and environmentally optimized energy use for every heat source. I would be most grateful to you all if your cooperation and warm encouragement would continue over the year to come. By merging of the Inspection Section of the Production Headquarters, the Quality Control Office raised to the Quality Assurance Department. Completed the joint development program of the next-generation type ultra-low NOx gas burners for industrial boilers with Osaka Gas Co., Ltd.
We succeeded in the development of the next-generation type ultra-low NOx gas burners "FX-G series" in order to cope with a possible tightening of environmental regulations in urban areas, and put them on the market. 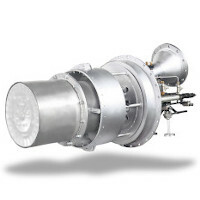 This burner itself offers the Nox emission of less than 30ppm, which is the lowest level in Japan and sustaining a high turndown ratio of 10:1. In addition to this environmentally friendly features, the high turndown ratio of 10:1 leads to higher boiler efficiency and lower fuel consumption. The origin of the company name "VOLCANO"
As you already know, the name came from the "volcano" of English language. If the word is changed to adjectives, "volcanic" or adverb, "volcanically", the meaning changes slightly, namely, "violent" or "fiercely". The name relates to the fire god "VULCUN" that appears in the Roman Myth. At the north-east side of the famous Sicilian Island, there is a famous VULCAN island among many Aeolian Islands. This was the origin of Volcano of English. The first president of our company used this Volcano as the registered trade name of the low pressure heavy oil burner we initially developed. However, its pronunciation slightly differs from that of English. We imagine that our first president pronounced the English name Volcano differently, probably in Roman letters.